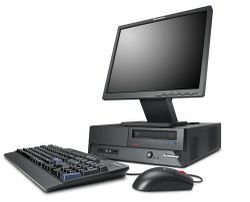 A Personal Computer (or PC) refers to a desktop or laptop computer that is used for personal tasks such as browsing the Internet and gaming, rather than business or server functions. The name PC is generally given to computers running Microsoft Windows operating systems, rather than Apple Mac or Linux operating systems. In relation to the Grand Theft Auto series, the PC has long been a traditional "platform" for GTA games. Because the computing power of PCs are not bound by strict standards by manufacturer, the PC platform is the most versatile, supporting modular upgrades, and being one of the earliest platforms to support Internet connections, allowing early GTA games such as the first Grand Theft Auto and Grand Theft Auto 2 to support multiplayer modes whilst online capabilities on consoles were still in their infancy. Certain PC versions of GTA games also feature slightly improved graphics, due to more lax limitations on hardware. PC GTA games are also the earliest games in the series to adopt custom radio stations and replays with the release of Grand Theft Auto III, as well as the short-lived ability to pick custom skins for the protagonist. Another notable advantage of the PC platform is their inherit ability to support third party utilities and modifications, which allows users to alter various aspects of GTA games. Most GTA mods are for the PC version, and although some exist for the console versions, they are significantly harder to implement, and often require installing a "mod chip" which may damage the console and void the warranty. Like consoles, weaknesses are also present in the PC platform. Hardware requirements are a particular problem; unlike consoles, PC hardware experience more gradual improvements in hardware as hardware manufactures are not bound to computer manufacturers restrictions on computing power the same way console manufacturers do for each console. This results in inconsistent hardware capabilities among every PC in use, which may impede the ability for some players to play PC games smoothly or with the best graphics available. The adoption of the Rockstar Advanced Game Engine for Grand Theft Auto IV, for example, led to a jump in the required amount of processing from the last PC port (Grand Theft Auto: San Andreas, which utilized RenderWare); many PCs in use during the release of GTA IV were found to be inadequate in running the game smoothly, even with the lowest graphical settings, and would require several more months before PC users are able to afford to obtain better hardware to run the game proper. The wide range of hardware components on offer for the PC, as well as the constant need to update hardware drivers, may also lead to incompatibilities that result in undesired glitches in graphics and audio or even instability in the game. Until GTA III, GTA releases for the PC platform were given some degree of equal treatment as the PlayStation, having been released simultaneously with or launched a week after the PlayStation version. The GTA series is also known to have a single PC-exclusive title, Grand Theft Auto: London, 1961, which was available only for download (at a time when gaming consoles had yet to extensively adopted online downloads). The release gap between console versions and PC versions was widen with GTA III and several more major GTA titles after, in which the native console version(s) is first released, followed by the PC port several months later, if not longer. Grand Theft Auto IV's The Lost and Damned episodic content underwent the longest PC release delay, at more than a year, due likely to the decision to release it simultaneously with the PC version of The Ballad of Gay Tony and the Episodes From Liberty City compilation. GTA titles which are native to handheld consoles (Grand Theft Auto Advance, Grand Theft Auto: Liberty City Stories, Grand Theft Auto: Vice City Stories and Grand Theft Auto: Chinatown Wars) have not been ported to the PC; however, it is still possible to play these games via emulation. 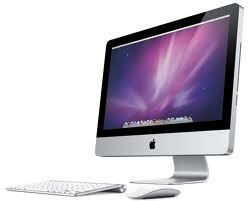 The Apple Mac (also known as the Macintosh) is a line of computers made by Apple Inc. Apple Mac computers are usually white or silver in colour. It is possible to play Grand Theft Auto Games on the Apple Mac, except that they have to be ported for the Apple Mac. Due to majority of people owning PC's over the Macs, or generally the PC being more well known, Rockstar and Take Two did not really focus on this Platform as much, though did generously decide to release a mac version of the trilogy, featuring three GTA classics on one disc in 2010. Unlike PC's, it is not possible to mod Mac alone due to incompatibility of files such as exe files. One has to normally resort to installing windows on a Mac (through Boot Camp, Parallels or Fusion) to open or edit such files.